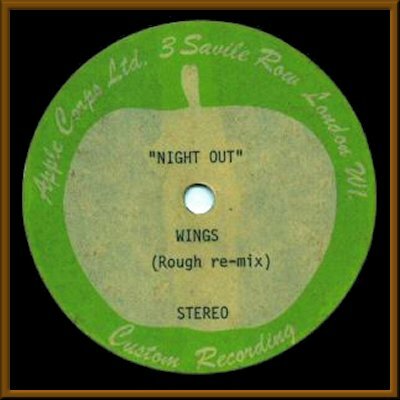 THE SOURCE - Acetates - Apple - Wings "Night Out"
This is a rare priceless gem, a one-sided Acetate of the unreleased track "Night Out" from the "Red Rose Speedway" Sessions in 1972 ( in pristine condition) . Recorded at Abbey Road and mastered at Apple. 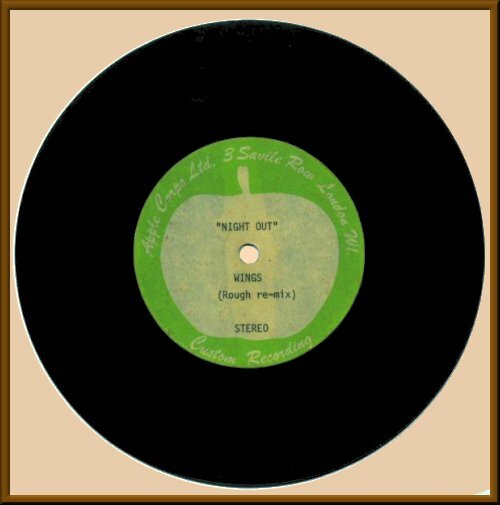 It was featured on Paul's Radio Show "Oobu Joobu " back in the day, but never included on the record. This Track was in Paul's mind " What a Rocker (song) of the day should be". A must for the collector or avid fan !!!! Authenticity on request . Any questions please feel free to email us. I hate to part with it. Serious Inquirys Only. NO RESERVE !!!! !